Commercial Bank Group CEO Joseph Abraham (third from right) with Asean ambassadors at the seminar. The blockade on Qatar has opened opportunities for the country and the Association of South East Asian Nations (Asean) to look at the “complementarities available” to further enhance their economic and trade relations, Commercial Bank Group CEO Joseph Abraham has said. 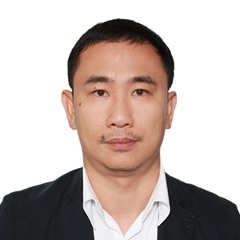 Speaking at the ‘Qatar and Asean — Trade and Investment Opportunities’ seminar in Doha recently, Abraham noted that prior to the blockade, 40% of Qatar’s food and construction materials came through the land border. With its closure, he said, this provides an opportunity for Asean countries (food and construction materials producers) to help Qatar in its food security and self-sufficiency drive. He added that Vietnam is now becoming a major hub for electronics and manufacturing while Indonesia and Cambodia specialise in textiles and footwear areas. Asean has also seen a significant investment flows from Qatar and the Qatar Investment Authority, Abraham added. 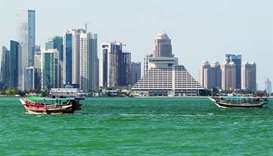 He cited that Qatar bought Asia Square towers in Singapore for $2.5bn and invested some $1bn on Nebras power plant in Indonesia. However, at a macro level, he said investment focus is more oriented towards Europe and America, but now slowly moving towards South East Asia and Asia. “This provides an opportunity for Qatar to deploy its capital and its long-term resources into Asean countries to participate in these exciting and growing sectors,” he pointed out. 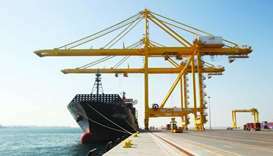 The top CBQ official said the development of shipping and logistic lines will witness further easing of movements of goods and will provide opportunities for more joint ventures in the long term. 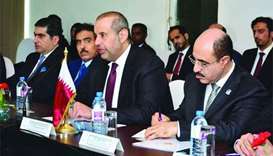 “This is an area again where Qatar and Asean countries can go together in meeting Qatar’s needs, but also deploying Qatar’s capital in a productive and long-term manner,” he noted. Asean, world’s third largest economic community after European Union and Nafta, has a combined gross domestic product (GDP) of $2.6tn, which is bigger than France, India and Brazil, if taken individually. Its GDP grew 5.3% in the third quarter of this year. Asean’s foreign direct investments totalled $120bn in 2015, the fourth largest in the world, with FDI inflows to surpass China for the first time this year. Meanwhile, Abraham noted that many Asean countries are key buyers of Qatar’s natural gas and this trend will continue. “As their economies develop, they will be energy-hungry countries and so therefore this (trend) will continue. 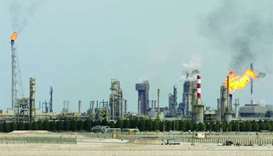 Singapore, I think, is the seventh largest export destination with about 3.8% of Qatar’s gas exports,” he said. Abraham said Qatar offers a lot of opportunities in various fields with its National Vision 2030, focusing on diversifying its economy away for hydrocarbons. “Asean has world leading skills in the services sector — whether it is in architecture, medical, and education, among others, and this is something we can use for our mutual benefit,” he added. 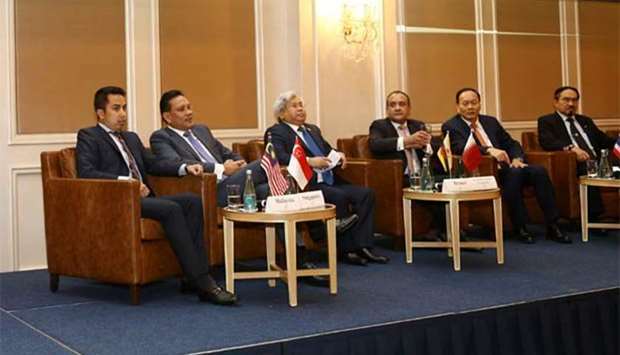 “It is a great opportunity to leverage the complementarities of Qatar and Asean so that both look towards each other to ensure a very productive and long-term partnership, which will meet the needs of both,” Abraham said.